1. They look so pretty! 4. Everyone will love you for making them! So this afternoon i was bored so i decided to whip up a batch. 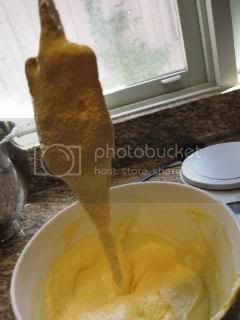 I probably shouldn't say whip up a batch because it did take most of the afternoon! I thought i'd put a bit of a step by step recipe up for these because they really aren't that difficult. You just need to be precise and have patience! This is my favourite macaron recipe. 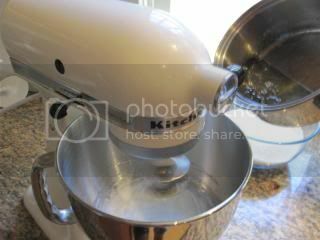 It works the best for me however you do need to own digital scales, a candy thermometer, a food processor and a stand mixer. Although you can probably get away with hand beaters, the scales and thermometer really are vital so i wouldn't try this recipe without them. Additionally a piping bag will make life much easier for you! This recipe is adapted from The Secrets of Macarons by Jose Marechal. It's a good little book and i think was less than $20. 1. 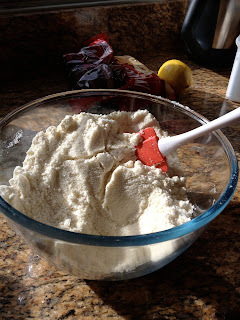 Place the ground almonds and icing sugar in a food processor and pulse until incorporated. 2. Sift mixture through a fine sieve into a bowl. 3. In a small saucepan, place the caster sugar and water and heat on high heat. 4. Meanwhile place 80g egg whites in stand mixer and whip until soft peaks form then turn off. 5. 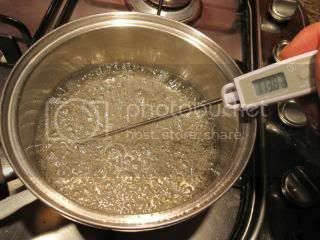 Check temperature of sugar mixture in saucepan using a digital thermometer. When temperature reaches 105 degrees turn back on the stand mixture to whip whites to firm peaks. 6. Remove sugar syrup from heat when temperature reaches 115 degrees. 7. 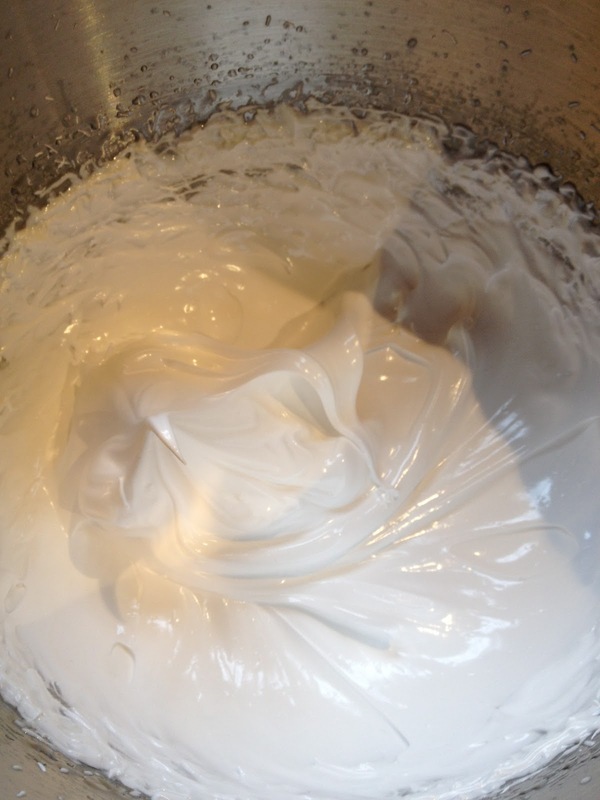 With the motor running on the highest speed, pour sugar syrup in a slow steady stream into egg whites. 8. Whip on high speed for 10 minutes. 9. Meanwhile add remaining 80g egg whites into almond meal mixture and stir to combine. Oops.. a bit blurry but you get the idea! 12. Place macaron mixture into a piping bag and pipe 20 cent coin sized macarons onto baking paper lined trays or onto a silpat. 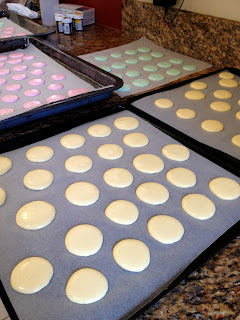 The macarons spread a bit after piping so leave enough room! If your macarons have peaks it means you have not beaten the mixture enough so you need to beat it more or they will crack once cooked. 13. Leave macarons to rest on the bench for 30-60mins. This is to ensure they form a crust and will develop 'feet' when baked. 14. Preheat oven to 150 degrees. 15. Bake macarons for 15-18 minutes. 16. 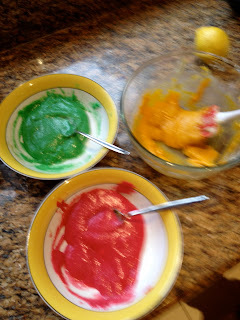 Leave to cool before filling with buttercream, ganache, gel... the options are endless! 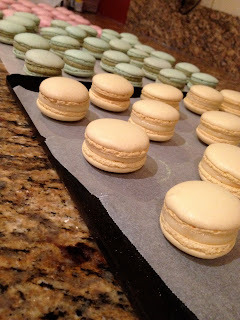 So give macarons a shot and impress your friends/family!